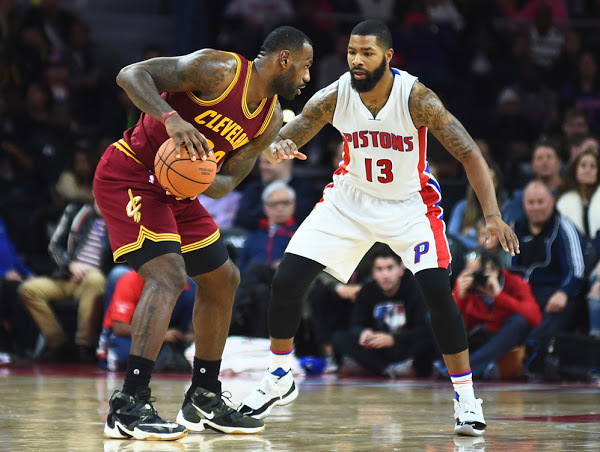 The Cleveland Cavaliers turned back the clock for Throwback Thursday and broke out the classic “Miracle of Richfield” jerseys for last night’s game against the Milwaukee Bucks. 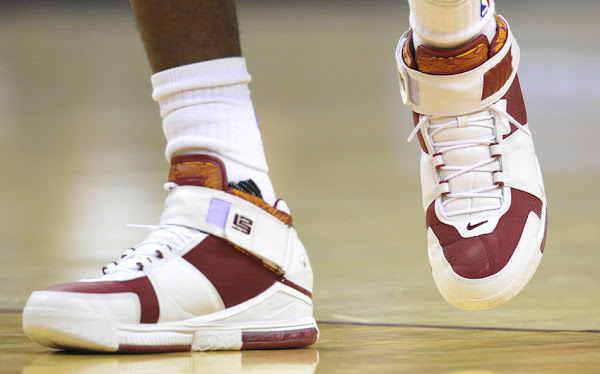 LeBron James joined the party with a throwback of his own. 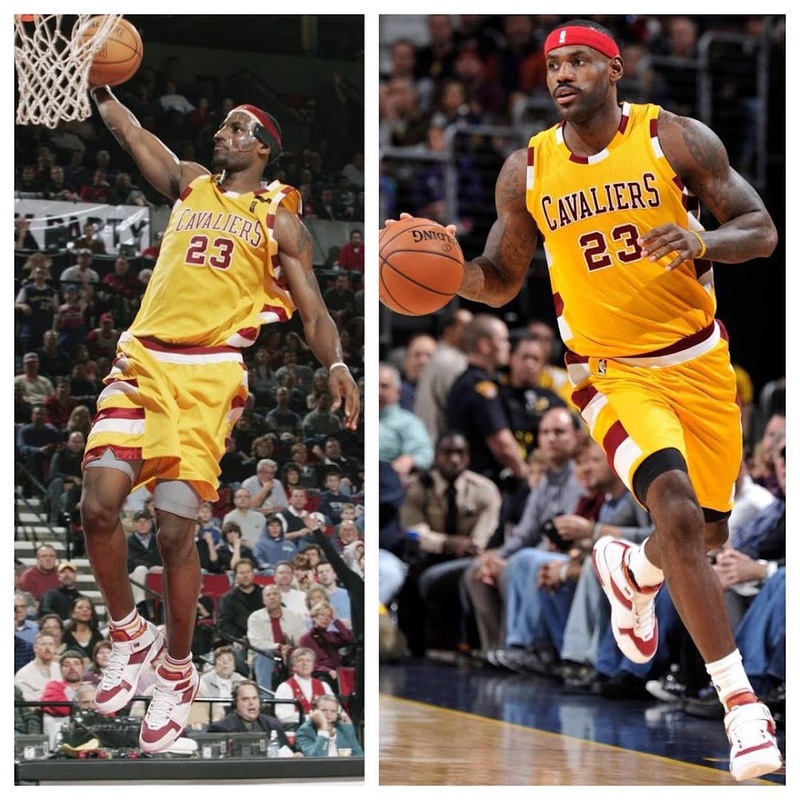 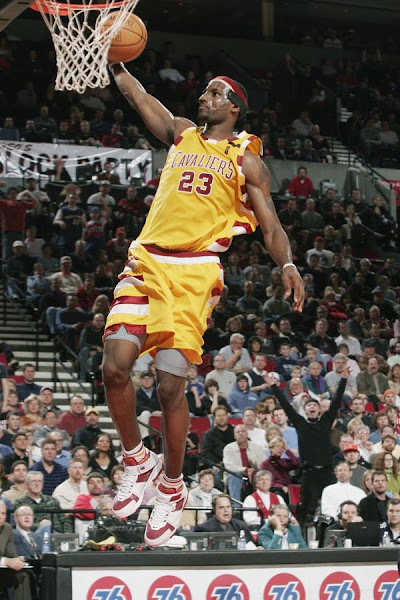 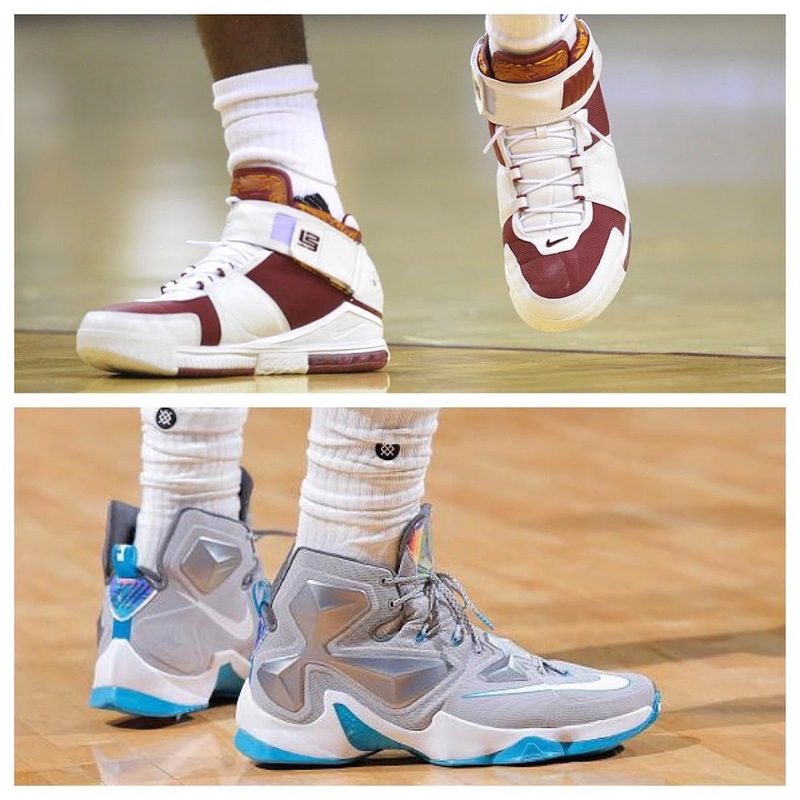 He chose to wear the “Triple Double” colorway of the Nike Zoom LeBron II… the exact same pair he wore 10 years, 10 months and 11 days ago… with the same team wearing the same uniform. 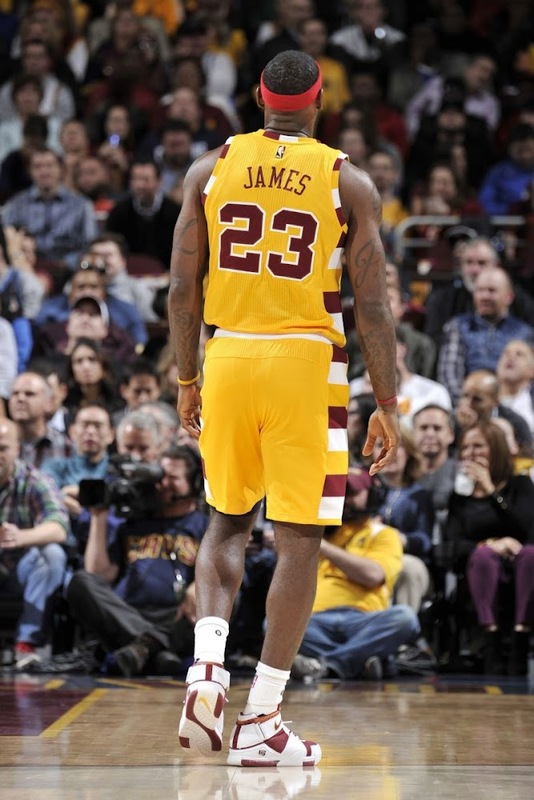 LeBron’s bulkier physique, his mustache and lack of the protective mask are the only differences here. 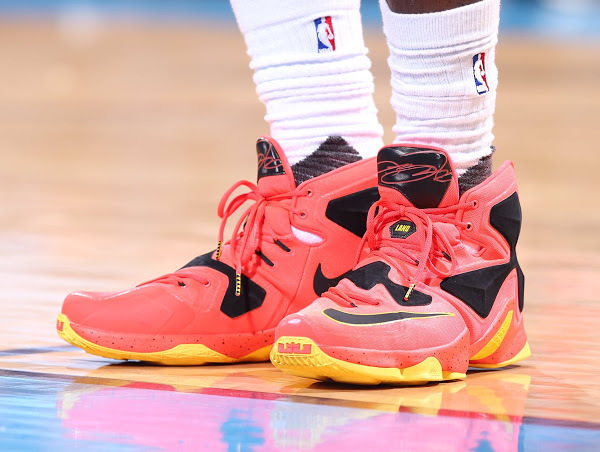 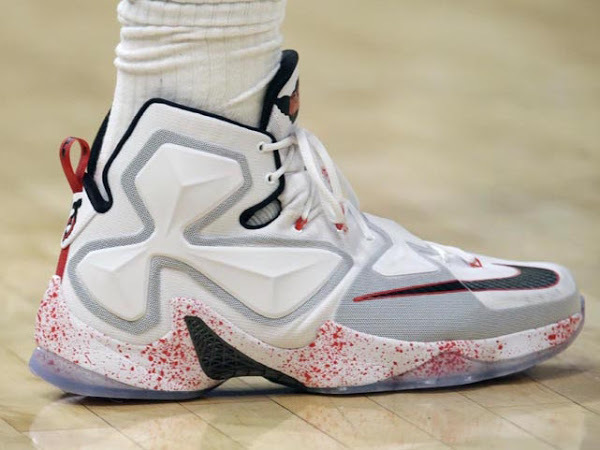 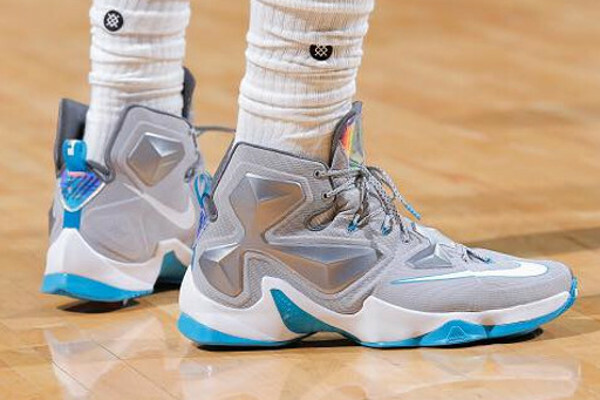 James chose to wear the LeBron 13 in the second half of the game with a brand new Grey and Blue make up that was previewed on our website back in September. 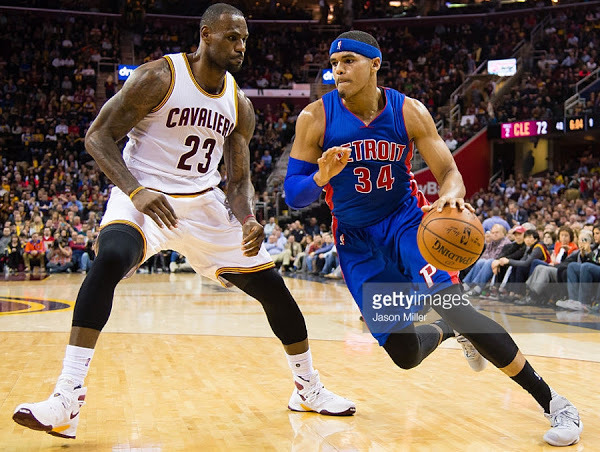 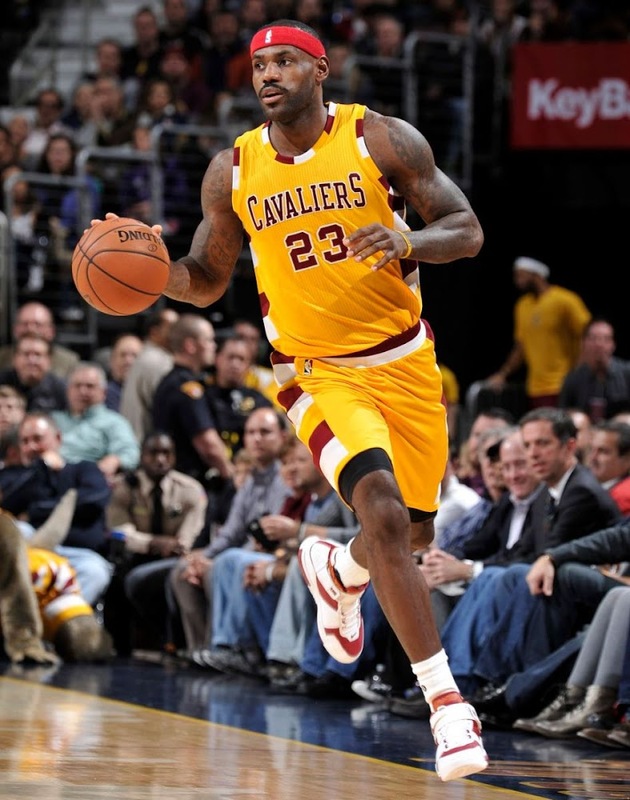 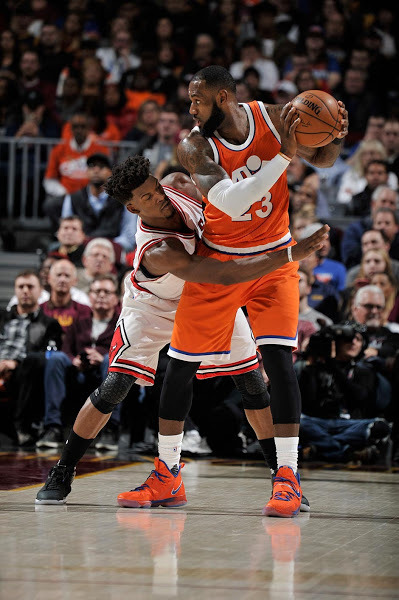 He finished with 27 points, 9 rebounds and 7 assists in a very efficient way for the Cavs’ win.